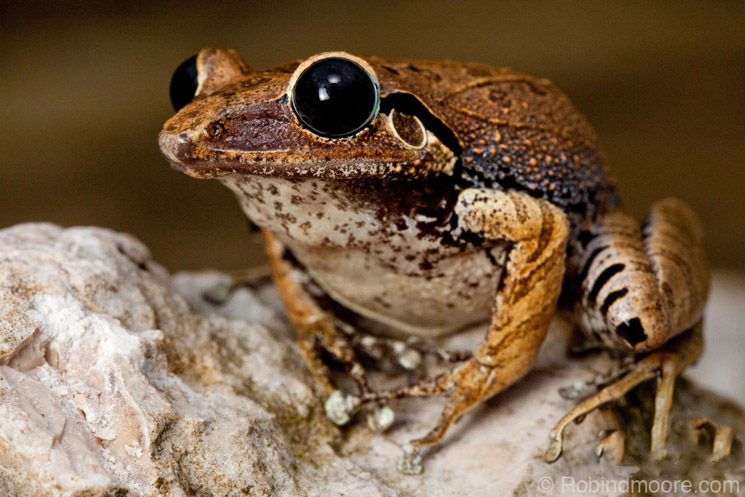 Haiti has perhaps the highest percentage of threatened frog species anywhere in the world. Most of the threats are due to the loss of their forested habitat and the fact that so many of their natural ranges are restricted, sometimes to single mountains. The southwestern area of Haiti, home to Macaya National Park, is considered among the most important conservation hotspots in the world primarily due to the critical nature of deforestation and the high diversity of frogs found there.